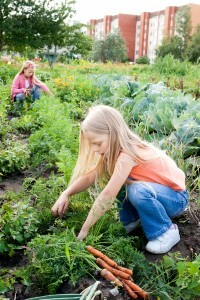 With the arrival of summer, there simply isn’t a better time to start growing your fruits and vegetables. No matter if you have a small porch space or a large backyard to start your garden, this is one of the best times of the year to grow. In this guide, we will outline all the potential benefits you will enjoy of gardening in the warm seasons. When you grow your own food, cooking can be as easy as walking in your backyard and picking fresh carrots or tomatoes to use for lunch or dinner. Having an easier, not to mention fresher, source of fruits and vegetables can benefit you and your whole family every day. Plus, you can grow a variety of crops, such as pumpkins, green beans, lettuce, corn, cucumbers, etc. When all you need is a moderate amount of land, you’ll have enough food to last through the cold months. You can even use your crops to sell at your local farmer’s market or donate them to soup kitchens or food pantries. With the number of crops you can grow, you can also save on your food bills. Instead of needing to purchase produce at your local grocer’s, you can simply walk outside and pick your fruit instead. Plus, it might even be healthier than the produce your grocery store sells. With all the physical activity that accompanies gardening, you can also get a good workout throughout the season. Plus, eating healthy afterward can help you lose weight as well. There’s nothing better to get you moving outdoors than pulling weeds, scooping out dirt, and harvesting your crops all summer long. 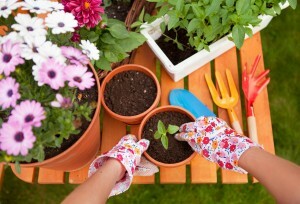 In addition to improving your health, gardening can also improve your mood. This comes down to more than just the joy you get when looking at something so beautiful that you put so much effort into. Being outside can boost your spirits and help to relieve anxiety. So instead of turning on the TV or reaching for that second cup of coffee to keep your spirits high, head outside. Your garden can also work as an investment. With your new addition, there comes an increase in the curb appeal, which then increases the value of your home. This is great if you ever decide to sell your home. Plus, you may even be able to sell your home faster because of the beauty of your lawn. There are nearly endless benefits to summer gardening. From lowering your food bills and getting a good workout to increase your house’s value, what’s not to love about growing fresh crops in or around your house? Hopefully, this guide could give you a better understanding of all the reasons why you should add a garden to your home today.